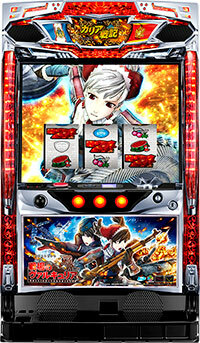 Today, we will be introducing a pachislot machine of a popular tactical role-playing game called “Valkyria Chronicles”. Its original work has gained popularity with its unique battle system and drama, that its 4th series is expected to make its debut next year. This new machine has completely reproduced the story of its original work, and a key to winning is the “target symbol” on the reel. Aim for the final battle against the crown prince Maximilian by invading! It is expected to make its debut in February next year. 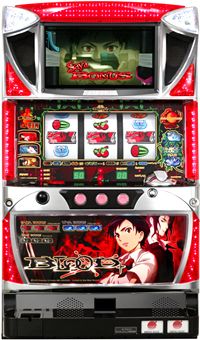 Today, we will be introducing a second pachislot machine of “Blood+”, which was created and became popular in 2005, and turned into a pachislot machine in 2010. Its original work is an anime series produced by Production I.G, known for their works such as “Ghost in the Shell” and “PSYCHO-PASS”. The story of “Blood+” revolves around a protagonist of Saya Otonashi, along with other characters, who learns their secrets and fights against the nemesis called Diva and a hematophagous bat-like creature called Chiropteran. “BLOOD EYE” triggers the start of everything, and there is a chance of victory whenever BLOOD EYE lines up!! The biggest selling point of this machine is the succession of “DEAD or ALIVE” rendition from its original pachislot machine, that players will be sure to get excited once they draw the 50% chance of “ALIVE”!! It is expected to make its debut on 4th of September.Don’t miss it!! 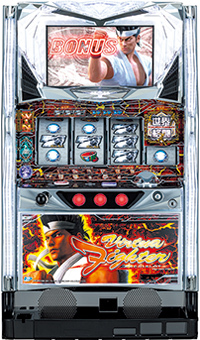 A pachislot machine we will be introducing today is “Ryu ga Gotoku”, a popular action game developed by SEGA!! 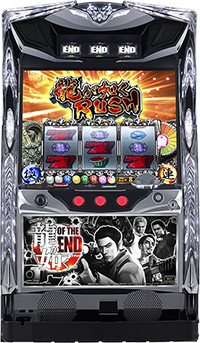 This machine, being the first pachislot machine of “Ryu ga Gotoku” series, uses a theme of a spinoff, “Ryu ga Gotoku OF THE END”!! Its main rendition is a battle between zombies and lots of other creatures, and there are also renditions using familiar characters. During a jackpot round, players get to enjoy various chances to increase their wins! This machine is expected to make its debut on 2nd of November. Stay tuned!! 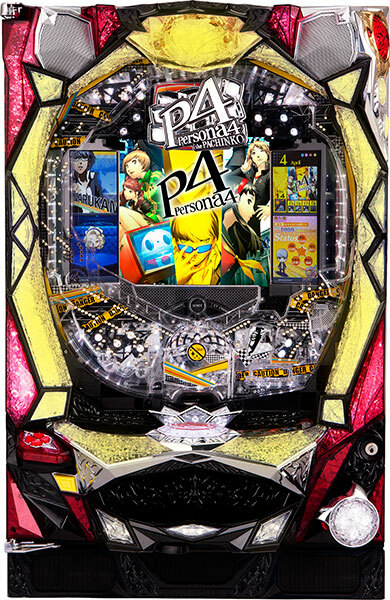 Today, we will be introducing a pachinko machine of “Shin Megami Tensei: Persona 4”, which is still a highly popular game since the release 7 years ago!! Not only items such as a calendar that shows the progress of the game and a TV that leads you into a mysterious “TV World”, but it is also loaded with a system that determines the outcome of a battle depending on the strength of bonds between the characters. This machine is filled with elements from its original work!! Also, “Persona 4” is known for its high quality music. 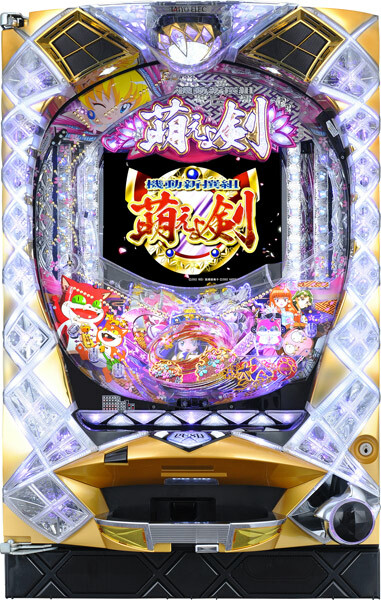 This machine uses music not only from the original game, but also uses music from its anime version such as “key plus words”, so that people who only knows its original game gets to experience the whole new “Persona 4”. It is expected to make its debut around end of September. Don’t miss it!! 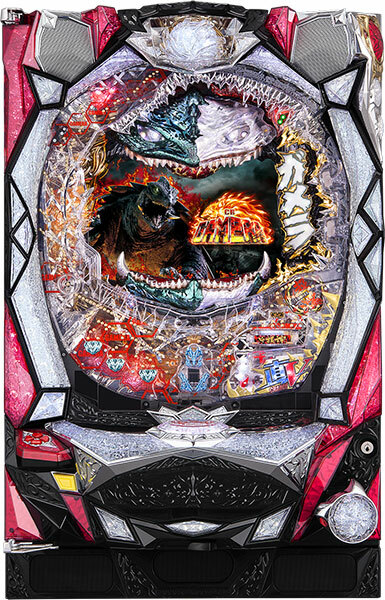 A pachinko machine we will be introducing this time is the 4th version of “Gamera”, one of the representative work of Japanese monster tokusatsu films. Using tortoise as a motif, Gamera is a righteous monster equally known as Godzilla. Not only the monsters created recently, but also the monsters from the past are made into 3G computer graphics, so that hard-core fans will also get to enjoy. 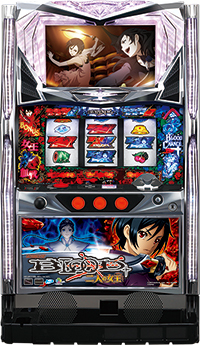 During a jackpot, you will fight the rival of Gyaos for a chance to win more winnings. Expected date of debut is June! 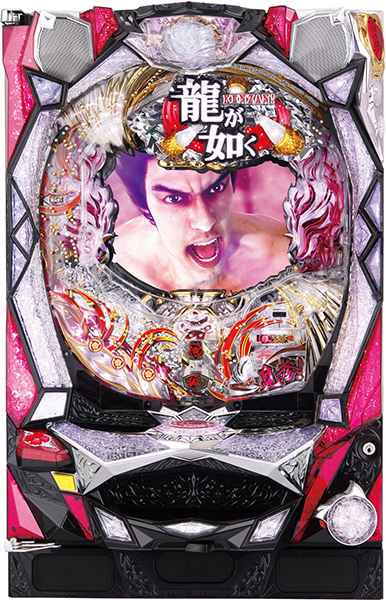 !It is a must play pachinko machine for any monster tokusatsu fans!! Today we will talk about a pachinko game set in Edo-era Kyoto, Ryu ga Gotoku Kenza! 2 (Yakuza Kenzan! 2) : Entrance! The highlight of this game is the protagonist and heroic master swordsman Musashi Miyamoto’s way of life! The way to the jackpot is by being manly! Become the ultimate chamption by defeating your valiant rivals!! The exciting release is set for late October! Show your guts through love and battle! The fighting game “Virtua Fighter” will come to pachislot soon! This version brings together the action only Virtua Fighter can bring and the cutting edge technology of today’s pachislot machines! 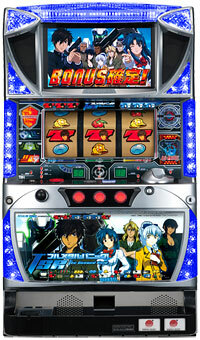 The “real gauge battle” which starts a series of jackpots is determined by the luck of your attack and defense! Enjoy the attack and defend action of a fighting game! The key to the jackpot is hidden in the Virtua Reel, which interacts seamlessly with all the scenes in the game! The machine will be rolled out this August! This is a must see for pachislot fans and Virtua Fighter fans alike! Attached to the chassis are a skull, two guns, and a lighter designed to get the player pumped up! When you get a jackpot, the exciting “bounty battle” takes place afterwards. and the stronger the enemy the higher the rewards! 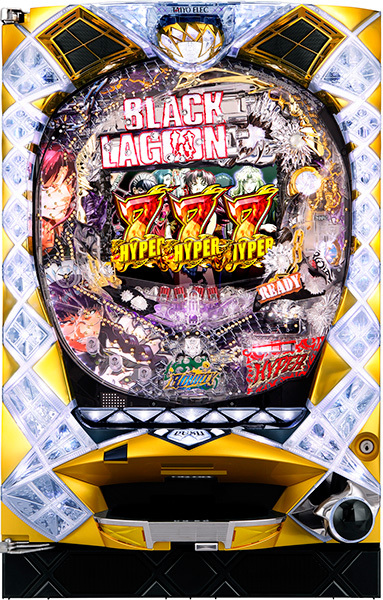 The machine with the biggest jackpot payout, Black Lagoon, is set for release in July. 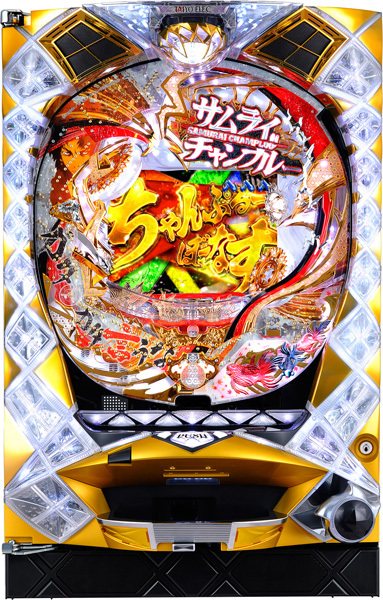 The machine we will introduce today is one that is based on the 19th century samurai culture: the newest version of Moeyo Ken! and the script was written by the producer of the Sakura Wars series, Oji Hiroi. It’s a new story with new music so people unfamiliar with the series and fans alike can enjoy it. Have fun exterminating ghosts with your beautiful young female comrades. 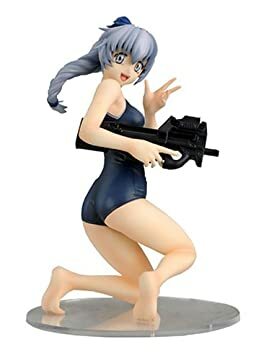 The third Full Metal Panic! anime has been made into Pachislot!! You won’t be able to keep your eyes off of the long and serious storyline!! like Kaname Chidori and Teletha “Tessa” Testarossa!! From director Shinichiro Watanabe, who also worked on Cowboy Bebop, comes the third installment of Samurai Champloo. Be sure to take note of the “unconventional” things like the large accessories and the original animation redone in 3D! 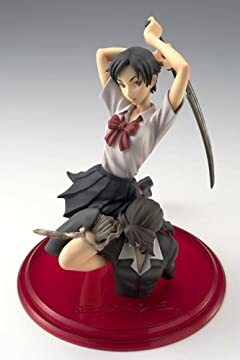 Saya, a young girl who has no memory beyond the past year, and Hagi who has joined forces with her, are frantically battling to defeat enemies that need defeating and complete missions that need completing. In order to reclaim her lost memory, Saya will face her nemesis Diva, who uses her own blood as a weapon.